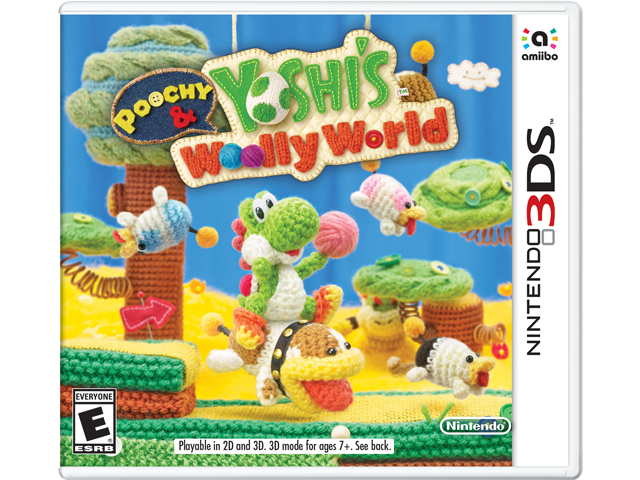 Get Crafty with Poochy and Yoshi! It's a mad dash for beads in new Poochy stages: dodge stumps, mush down snowy paths, chase Lakitu, and unearth hidden paths and items. Sniffing out secrets is always a charm in Mellow Mode, thanks to the curious Poochy Pups. As you find collectables, you'll unlock rewards, from extra stages to new Patterned Yoshi. You can also design and play as your very own Yarn Yoshi, or share it with friends via the StreetPass™ function! When you want a break from exploring, peek into the lives of Yarn Poochy and Yarn Yoshi in 30 hilarious stop-motion shorts. It's time to get crafty!